Custom metal Fabrication,Installation and repair services. From custom structural steel to decorative metals and everything in between, you never know when something Springer-Peterson Fabrication has had a hand in will cross your path. "First of all, thank you for taking care of our project. 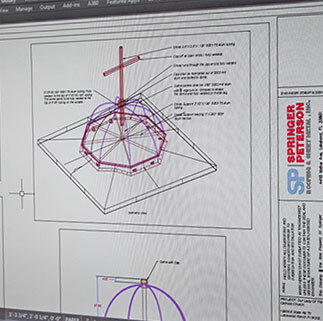 We bid our church domes to three other companies & none of them could or wanted the job! Springer Peterson worked with us on design & did what others could not !!! I would recommend you guys to any & all!" Springer-Peterson Fabrication offers a wide range of metal fabrication, installation and repair services. From custom structural steel to decorative metals and everything in between, you never know when something Springer-Peterson Fabrication has had a hand in will cross your path. 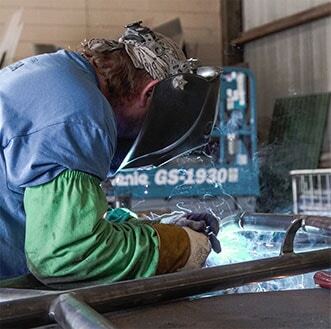 Stainless steel counter tops handrails and maybe the entire building that you are in could have been fabricated at the shop and installed by one or all of our talented and experienced employees. Our people are what makes us great, with years of fabrication experience we enjoy the opportunity to help make something safer, more functional, or just more fun. Check out the wide variety of projects that we have done over the years, we may just be able to make what you have imagined. Springer-Peterson offers creative quality fabrication solutions for a wide range of businesses and industries. You will find Springer-Peterson Fabrication work in Hotels, theme parks, industrial facilities, hospitals offices and homes all over Florida. 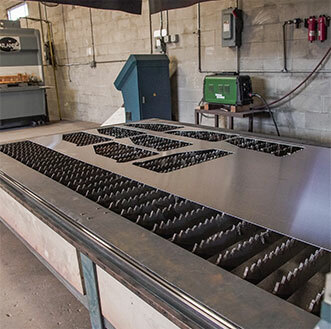 How can we help with your next custom fabrication project? Springer-Peterson Fabrication is a Division of Springer Peterson Roofing and Sheet Metal Inc. A family owned business in the Lakeland area for over 35 years. Springer-Peterson Fabrication was born of the necessity for roof related architectural metals, curbs and various other fabricated items.